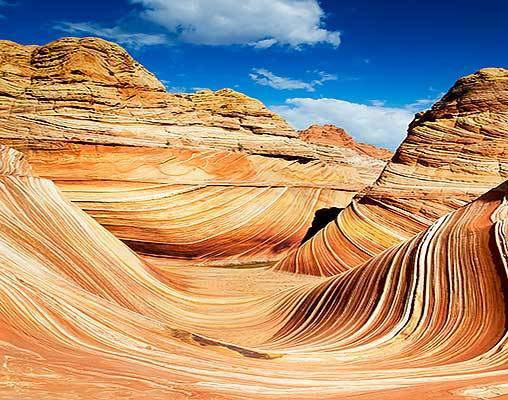 The Grand Canyon is one of the world's top natural attractions. Visit one of the Seven Natural Wonders of the World on this exciting rail adventure. Beginning in Chicago, board Amtrak's Southwest Chief bound for Flagstaff, Arizona, the gateway to the Canyon. 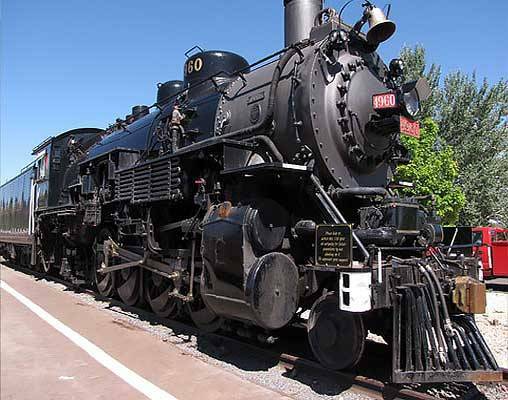 Upon arriving in Flagstaff, catch the historic Grand Canyon Railway for your journey to the South Rim of the Grand Canyon. This is the same rail route that great Presidents such as Franklin Delano Roosevelt and Dwight Eisenhower once took. 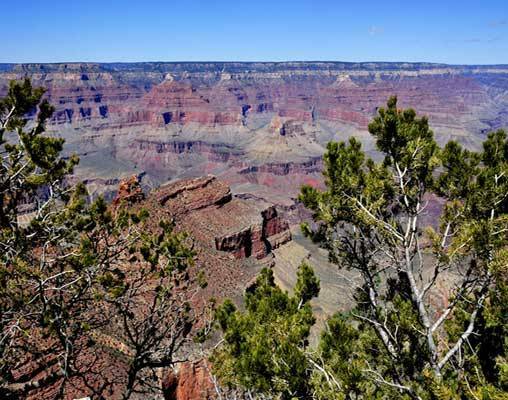 Once at the South Rim embark on a narrated motor coach tour to discover the most scenic views. After your day of guided sightseeing, spend the rest of the time exploring the Canyon at leisure. 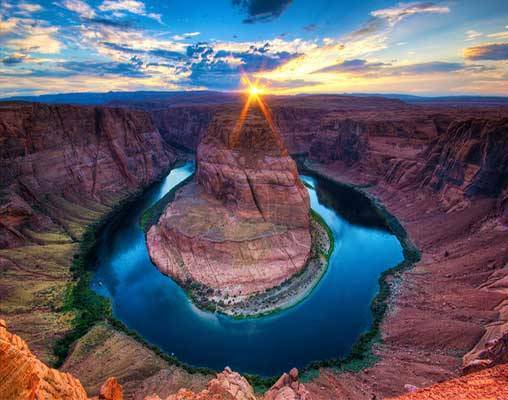 Make sure to visit important sites such as the Desert View Watchtower and the beautiful Colorado River or just take in the stunning sunset as your time at this exceptional wonder comes to an end. 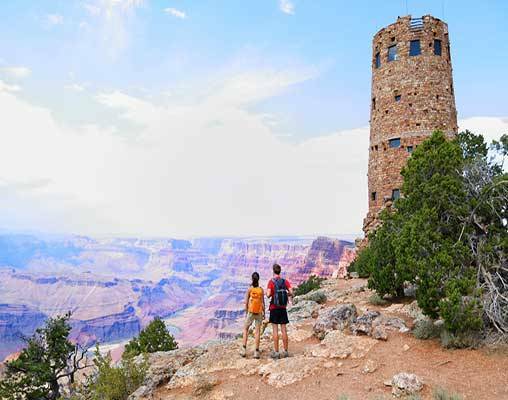 This 6-day rail vacation includes round-trip travel on Amtrak's Southwest Chief, roundtrip travel on the Grand Canyon Railway, hotel accommodations, sightseeing at the Grand Canyon, and more! This vacation can be booked online for departures from the following Amtrak stations: Chicago, St. Louis, Kansas City, Denver, and Albuquerque. 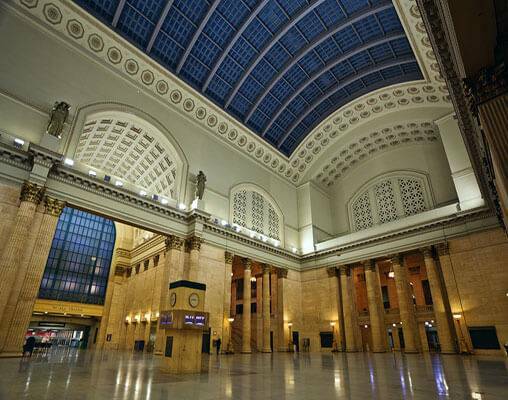 For other departure cities, please select the Chicago location, and a rail specialist will contact you within 48 hours with a package customized with a departure from your most convenient Amtrak station. Board Amtrak's Southwest Chief and prepare for a 3:00 pm departure for Flagstaff, Arizona. Make the most of your time on the train, meeting your fellow travelers and ensuring a visit to the Sightseer Lounge with its floor-to-ceiling windows offering impressive views of the picture-perfect scenery passing before you. As your train crosses the mighty Mississippi, cutting across Illinois, briefly into Iowa, and then onto Missouri, enjoy a hot meal in the Dining Car before retiring for the evening. Overnight train. The sun rises as you leave Kansas and travel through southern Colorado. Start your day with breakfast in the Dining Car followed by a series of presentations from volunteer park rangers as part of the Trails & Rails program (seasonal). Enjoy hearing stories and viewing artifacts from the region as your travel through Colorado and New Mexico. Your train arrives in Flagstaff, Arizona around 9:30 this evening. A shuttle will transfer you from the rail station to your hotel. Overnight Williams. Wake-up early and transfer to Flagstaff to board Amtrak's Southwest Chief to Chicago. Nap, read a book or spend the day marveling at the canyons, deserts, mountains, missions, pueblos, and ranches that comprise the picturesque scenery. Overnight train. Awake to the wheat fields of the Midwest this morning. Leisurely prepare for your arrival in Chicago a little after 3:15 pm. You may elect to extend your stay in the Windy City with a variety of hotel and sightseeing packages. Click here to view testimonials for Grand Canyon Railway Rails to the Rim Adventure. All expectations met , easy and fun vacation. didn't have to worry about toting bags from place to place. All done for you. Clean trains. Entertainment very good. All guides very knowledgeable, great sense of humor and had the gift of gab. Even the shuttle bus drivers to and from the hotel and at the canyon were excellent. We experienced a new way of traveling across the country, via Amtrak, and things went quite smoothly. We had a good vacation! Enter your details below if you would like to be notified when 2021 dates and prices are available for Grand Canyon Railway Rails to the Rim Adventure. Prices are per person based on double occupancy, tax included. All reservations are based upon availability at time of booking. Connecting rail from your city is available upon request, contact a rail specialist for details. Prices are are correct at the time of this web page being published; yet, are subject to confirmation at time of booking. 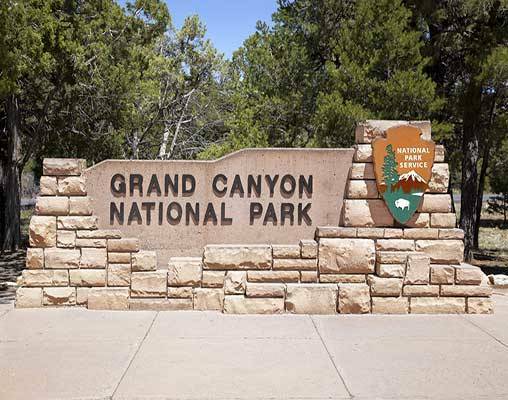 Grand Canyon Railway does not operate on Christmas Day.